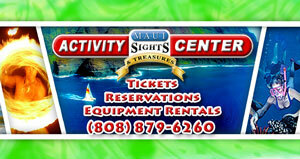 Tickets and reservations for Hawaiian Luaus on Maui, with discounted prices. Luaus are Hawaiian hula shows held Ocean side at Sunset. Lu'aus include a Dinner Buffet, free Topical Cocktails/Beer/Wine, and a Hula Show with Fire Knife Dancer. 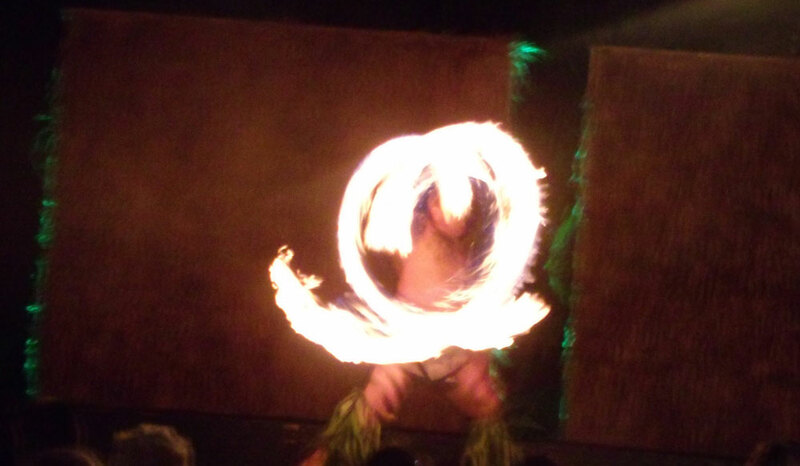 Most Luaus have cultural demonstrations before the show. The Kaanapali Sunset Maui Luau is located right at the edge of Kaanapali’s famous Black Rock Point. You can watch the daring young men dive from the cliffs at sunset. What a beautiful sight with the sun setting and the islands of Lana’i and Moloka’i in the background. The Sheraton Kaanapali puts on 1 of the best Hula Shows on Maui two nights a week, Mondays and Wednesdays, Fridays during busy times, such as summer months. The Sheraton Kaanapali Luau provides the best in Polynesian performers and you will be treated to traditional and contemporary Hawaiian music as you take your seats for an evening of great entertainment! Sit back relax and enjoy tropical cocktails as the evening progresses. Starting with a pareo fashion show, this Maui luau show will entertain you for the rest of the evening. Masterful drummers evoke the sounds of Polynesia as you enjoy dances from Tonga, Tahiti, Samoa, New Zealand and of course Hawaii. Whether you prefer the mesmerizing beauty of the hula or the heart-pounding dances of the Maori, there is something here for everyone. Topping off your evening, Tihati brings out their unbelievable fire knife dancers. Watch in amazement as they spin and wield the fire knives in a way sure to amaze you with their feats of strength and daring! Children ages Baby to 5 Years old are Free with a Paying Adult. * You may request a highchair at the time of booking your Hawaiian Luau reservations. Parking: $2.00 for Garage Parking or $5.00 for Valet Parking; both are located at the Sheraton Kaanapali Hotel where the Luau is held 2-3 nights a week. Check-In: 5:00 P.M. | Ends at: 8:00-8:30 P.M.
At the Sheraton Luau, guests can learn about a diverse Polynesian culture brought to you by world-renowned producer, Tihati Productions. Masterful drummers evoke the sounds of Polynesia with traditional Tongan, Tahitian, Samoan, Maori, and Hawaiian performances. *Tihati recently took its cast of dancers to perform for the President of the United States at the White House! The evening commences at an award-winning beachfront West Maui locale, with an always magical Maui sunset in the background. 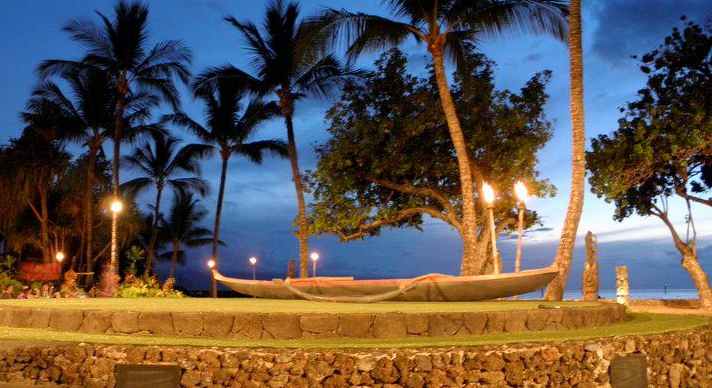 Guests can partake in Hawaiian arts and crafts, watch an authentic Hawaiian Imu Ceremony (roasting a pig in the ground), Hawaiian and Polynesian dance performances, and the popular ‘fire and knife’ dance. Favorite items on the Luau menu include the Maui Gold Pineapple Salad with toasted coconut flakes, Sweet Taro Rolls, Slow Roasted Kalua Pork with Kula cabbage and Maui onion, Island-style Pulehu Chicken, and the Grilled Pacific Catch with a ginger-lemongrass butter sauce. For Dessert, do not miss out on the Guava Chiffon Cake, Chocolate Macadamia Nut Cream Pie, or the Traditional Coconut Haupia. 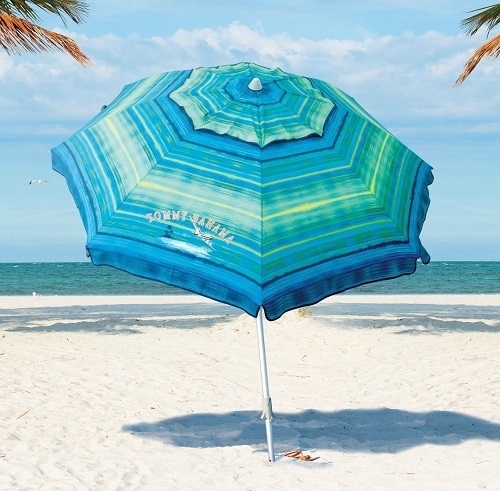 This Maui Luau is available on Mondays, Wednesdays, and Fridays (pending season). 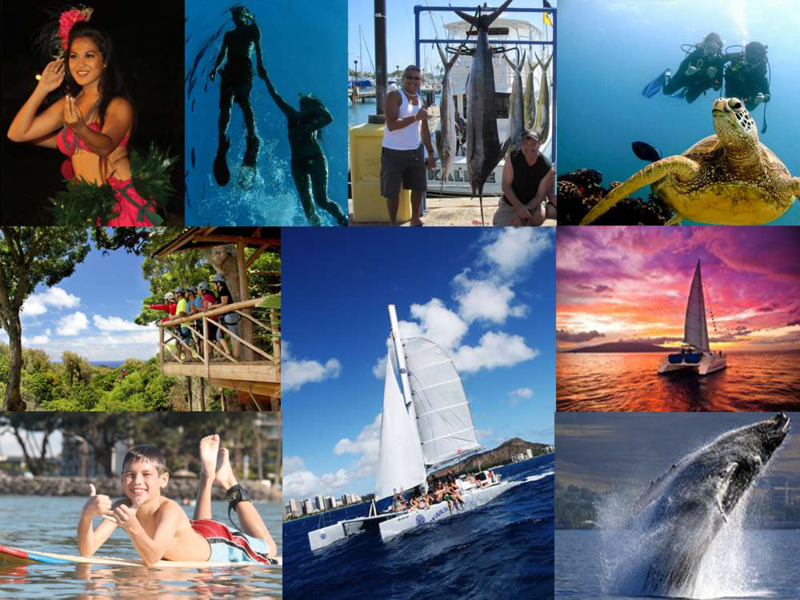 Children 5 and under are FREE, speak with one of our Maui Sights and Treasures representatives and book your Maui Luau today! 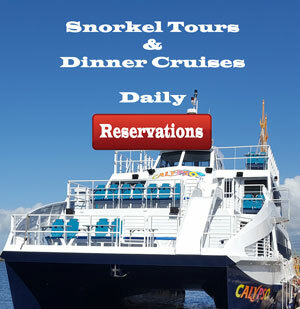 Call 808-879-6260.